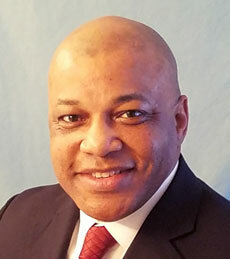 Jay has more than 20 years of business operations experience in the engineering and technology, financial services, healthcare, and consulting arenas. Jay possesses onsite and virtual international team experience from Germany, Switzerland, and Mexico. Jay has served as a C-Suite level professional, is a business owner focused primarily on but not limited to risk management and succession planning. He understands collaboration with the CEO and other senior and C-level employees to affect results. Jay has provided more than 15 years of volunteer service with over 8 years directly associated with teaching business concepts and life skills as a Prison Entrepreneurship Program (PEP) mentor and a Service Core of Retired Executives (SCORE) counselor. He earned a M.B.A. in Entrepreneurship from University of Dallas in Irving, TX and a B.S. in Industrial Technology with a minor in Operations Management from Texas A&M University in Commerce, TX. Jay values family time with wife Julia, and three children, Amon, Jerusha, and Lauren.